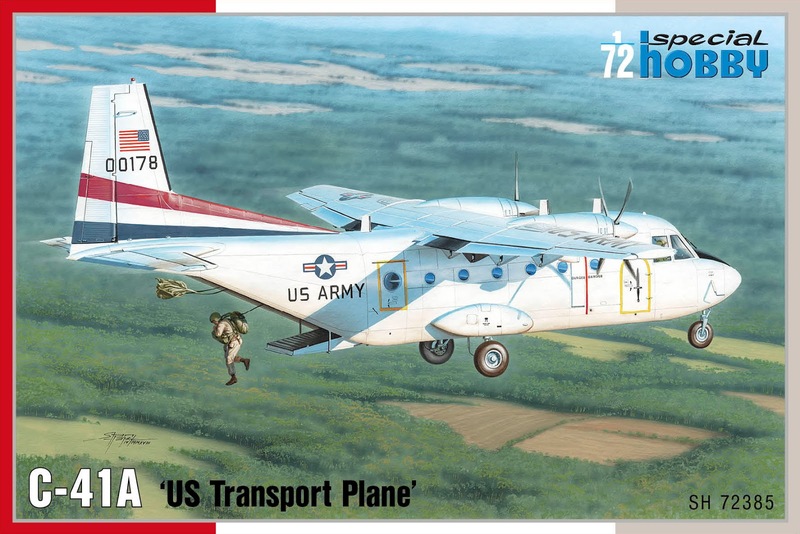 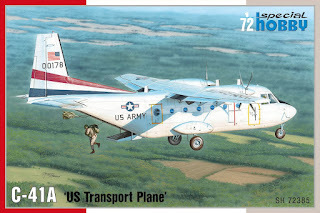 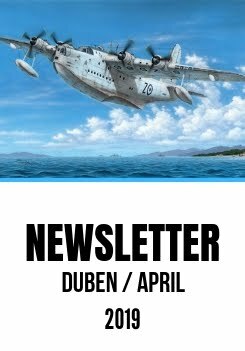 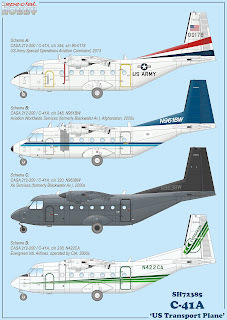 The C-41 (US-used CASA 212s), a Special Hobby new model kit due to be out this July will offer the modeller the following marking options. 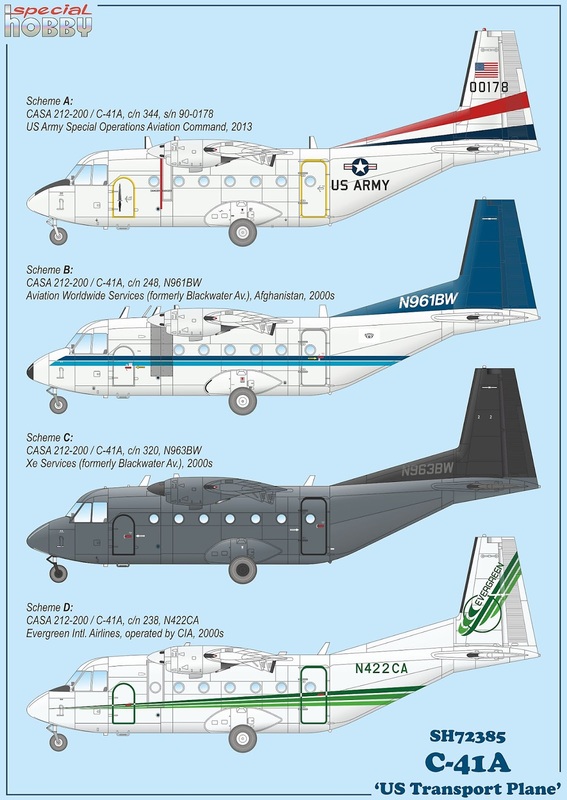 Today we can show you the side profiles, more to come soon. 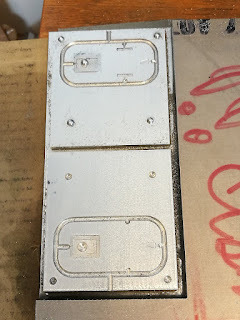 The boxart option machine, as you may already have noticed, is fitted with a different style of the rear starboard side door dome window which was not present in the spures of the standard Casa models released previously. 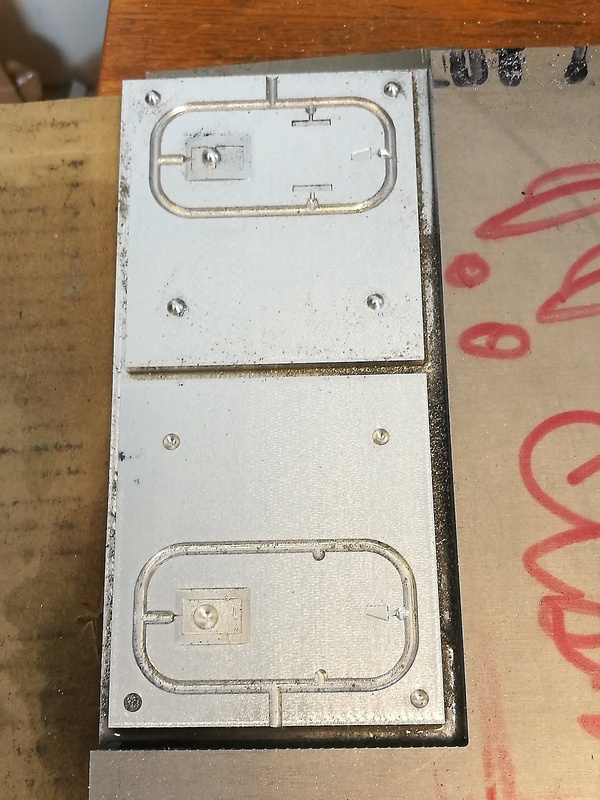 Our designers and toolmakers did not waist their precious time and prepared a new door moulding tool, rather smallish in dimensions which also contain some other items needed for this boxing.